We have compiled these resources to help you in your time of need. If you have further questions, call us at (402) 274-3631. Hemmingsen Funeral Home is presenting a life saving initiative to the area. 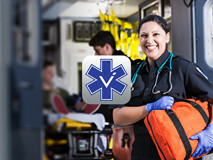 Vital ICE provides a platform on which to list your vital medicinal information, making it readily available to EMS and other First Responders.